Price apology done, what about the rest? An Amazon exec has admitted the company fouled-up the pricing of the Amazon Fire Phone, cited as just one of several reasons for its abject failure. Poor financial results saw Amazon's share price dive by 10 per cent recently, and many have blamed the rather dismal launch of the Fire Phone. 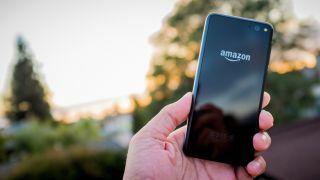 Amazon Senior Vice President of Devices David Limp has now admitted that the company failed to price the phone correctly, a contributing element in the Fire Phone's poor sales performance. "We didn't get the price right… I think people come to expect a great value, and we sort of mismatched expectations. We thought we had it right. But we're also willing to say, 'we missed.' And so we corrected," says Limp. In the US, the phone launched at $199 for the 32GB model, or $299 for the 64GB version. Just two months after release, Amazon chopped these prices down to 99 cents (yes, really) and $99 respectively. Amazon is yet to release solid sales data for the Fire Phone, but we know it's not good news. Among the company's Q3 2014 financial results was a note of $83 million worth of Fire Phone stock just sitting in Amazon's warehouses. In the UK, the Amazon Fire Phone was released at a slightly more sensible price than its US counterpart, but that hasn't stopped it from receiving a bucketload of criticism. Scoring two and a half stars in our review, we highlighted issues that included an awkward interface, a relatively low-res screen and a rather gimmicky main attraction. The Amazon Fire Phone uses four front cameras that track your face, making interface elements move in 3D style. It scores pretty highly on the fluff-o-meter. Limp says the company is working on the Fire Phone's failings, though: "Each release that we're doing, we're learning. Beyond that, I leave it out there to see what people think."